Babies are born with urgent and intense needs and depend completely on others to meet them. 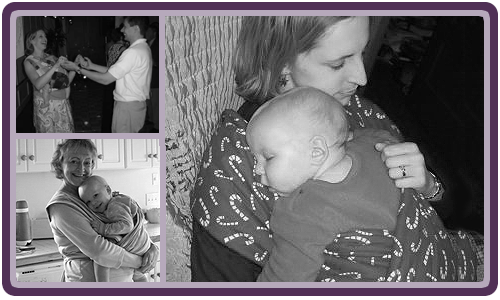 Nurturing touch helps meet a baby's need for physical contact, affection, security, stimulation and movement. Parents who choose a nurturing approach to physical interactions with their children promote development of healthy attachments. Even as children get older their need to stay connected through touch remains strong. For the child, nurturing touch stimulates growth-promoting hormones, improves intellectual and motor development, and helps regulate babies' temperature, heart rate, and sleep/wake patterns.